What are dogs really like? What are people really like? 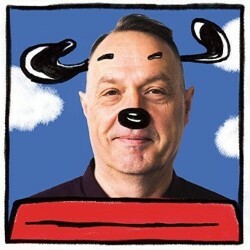 Join Matt Black for joyful entertainment with surprising dog facts, excellent poems, cheap props and Snoopy's answer to world peace. Inspired by Lola, a rescue dog from Ireland and current dog research, you'll learn about dogs' eyebrow techniques, how to talk to dogs nicely and what percentage dog you might be. A crazy canine journey into your own self. Comedy, science and poetry collide! 'Barking brilliant' (Lola). Matt Black was Derbyshire Poet Laureate 2011-13.